Conservatives, the White House is hiring . . . I see so many who claim to know how to fix all the ills of the country. I hope they line up and apply. No one from the left here is eligible ............... they want liars and/or those who blindly support trump and his lies to apply. "Never Trump" Republicans, also ineligible. Is this on Craig's List or Tinder? :-0? being a "snot". No job security; good benefits. Apply within. 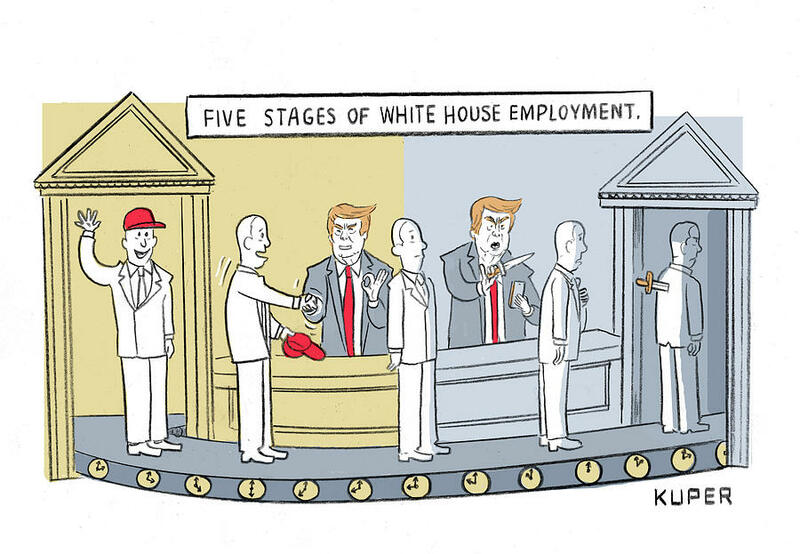 Want to work at the WH? The Executive Branch Job Fair is happening this afternoon. Can't make it? Apply on-line. All experience levels welcome. Opening also available at Defense, Interior, Commerce, Homeland Security, Health and Human Services, Energy, and Treasury. Rumor has it that Sarah Sanders and Raj Shah may also be departing soon if communication is your thing.